Most who love Birmingham, love the city’s iconic Ironman who has been sitting on top of Red Mountain since 1936. Vulcan is the largest cast iron statute in the world! 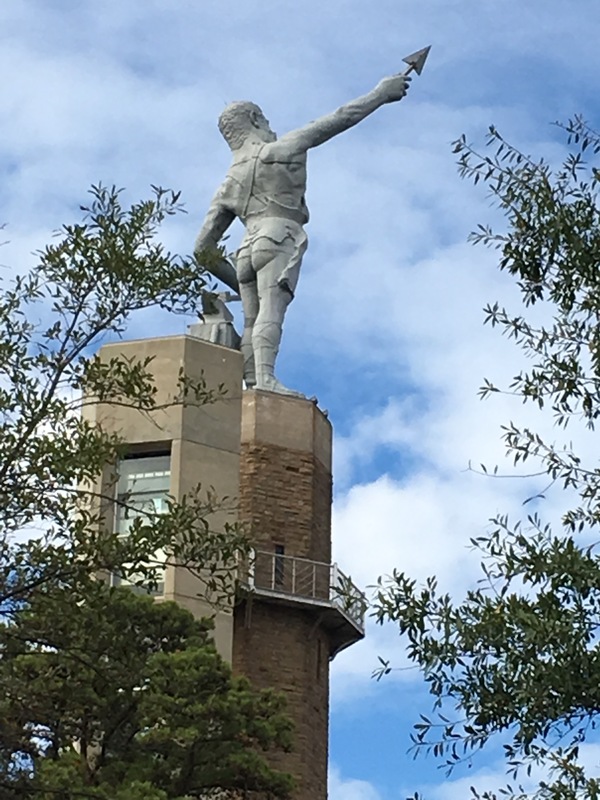 Renovations to Vulcan park and the statue were made during the years of 1999-2004. I love attending meetings at the park and taking visitors to the statute. I was there last week for an organization meeting. Vulcan Park and Museum also recently renovated and expanded their gift shop “The Anvil,” and just yesterday the Birmingham Kiwanis Club announced a $4 Million gift to expand the north side of the park. These are exciting times for a the City that continues to be magical. See plans for the expansion at the Birmingham Business Journal . To plan your visit go to Visit Vulcan .